Tyga, AKA Micheal Ray Stevenson, is an American rapper, who has been signed to Young Money Entertainment, Cash Money Records, and Republic Records. He’s worked and collaborated with artists such as Lil Wayne, Drake, Rick Ross, and Chris Brown; and now has a net worth of $2 million. 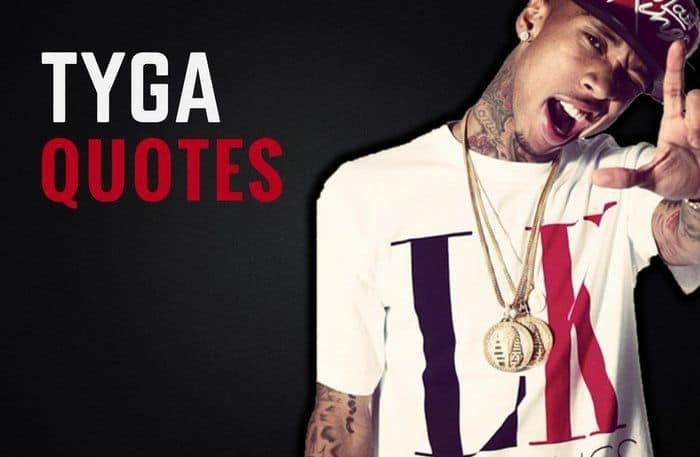 Thanks for viewing this collection of the best Tyga quotes! Don’t forget to share them on social media with your friends and family. Which are your favorite Tyga quotes? Leave a comment below.